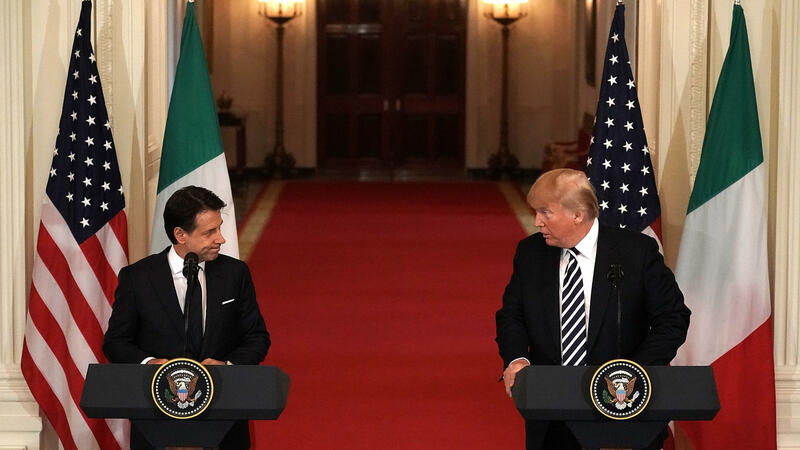 President Donald Trump and Italian Prime Minister Giuseppe Conte participate in a joint news conference at the East Room of the White House Monday. Trump renewed his demand for border wall funding as well as changes to U.S. immigration law in a tweet Sunday, saying "I would be willing to 'shut down' government if the Democrats do not give us the votes for Border Security." Republicans, who hold majorities in both the House and Senate, have not been able to pass the immigration changes the president wants. And GOP leaders in Congress are reluctant to see a government shutdown this fall, just weeks ahead of the midterm elections. Trump said he had no "red line" in so far as the amount he wants Congress to approve, and that he will "always leave room for negotiation." Trump also said he would be willing to meet with Iran's leaders "anytime they want, no preconditions." But he warned that Iran must "never be allowed" to possess nuclear weapons. In May, the Trump administration withdrew from an international, multilateral nuclear weapons deal the Obama administration had entered into with Iran and other key Western allies. At the time, Trump said the deal was "defective at its core." Earlier this month in an all-caps tweet, Trump warned Iranian President Hassan Rouhani to "Never, ever threaten the United States again or you will suffer consequences the likes of which few throughout history have ever suffered before." Monday's news conference follows a White House meeting that Trump held with the Italian prime minister. Conte shares Trump's populist tendencies as well as his skepticism about immigration. "Italy has taken a very firm stance on the border, a stance few countries have taken," Trump said during a brief photo op in the Oval Office before the joint news conference. "Frankly, you're doing the right thing in my opinion." 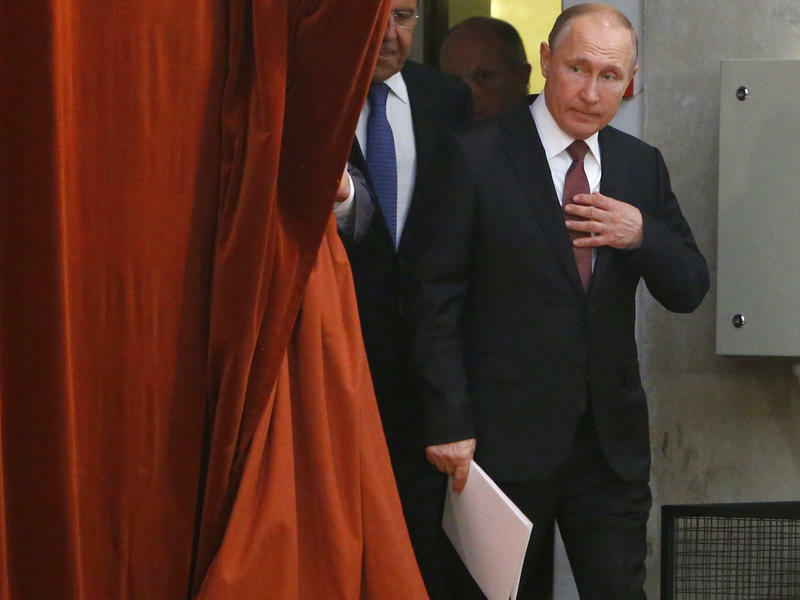 Conte was the only G-7 leader to embrace Trump's call to invite Russian President Vladimir Putin back into the diplomatic club — an idea that was quickly quashed by other G-7 countries. While Trump and Conte are potential allies, Italy has failed to boost its defense spending to levels the president wants. Last year, Italy devoted an estimated 1.13 percent of its overall economy to defense, less than Germany. "We have a lot to talk about having to do with trade, having to do with our military," Trump said at the news conference. "The United States has a very large deficit, as usual, with Italy — about $31 billion. And I'm sure we'll straighten that out pretty quickly." The president, as is his habit, cited the trade deficit in goods only. Counting services, the U.S. has a slightly larger trade deficit with Italy — nearly $35 billion. Although he was expected to, Trump did not use the news conference to tout some positive economic news. Last week the Commerce Department reported that the U.S. economy grew at an annual rate of 4.1 percent between April and June. That's the fastest pace in almost four years, though it's not clear whether that signals the beginning of a sustained acceleration in growth or just a temporary "sugar high" from tax cuts and increased government spending. President Trump is threatening to shut down the federal government this fall unless Congress approves more funding for his controversial border wall. In a White House news conference this afternoon, Trump said the U.S. needs beefed-up border security along with big changes in the immigration system. PRESIDENT DONALD TRUMP: Personally, if we don't get border security after many, many years of talk within the United States, I would have no problem doing a shutdown. It's time we had proper border security. CHANG: The president spoke after a meeting with Italian Prime Minister Giuseppe Conte, who has also taken a hard line when it comes to immigration. NPR's Scott Horsley joins us now from the White House. Hey, Scott. SCOTT HORSLEY, BYLINE: Good to be with you, Ailsa. CHANG: So Trump described the Italian leader as his new friend. How close are these two guys when it comes to border security? HORSLEY: Both Trump and Conte were carried into office at least in part by a wave of anti-immigrant sentiment. Italy of course is wrestling with a historic surge in refugees from North Africa and the Middle East. We have seen nothing like that here in the United States where the number of illegal border crossings was actually way down even before Trump came into office. But both Trump and Conte have benefited from a populist pushback against immigration. Trump of course campaigned on a platform of tough border enforcement and that border wall. And this afternoon, he reiterated that threat he made over the weekend via Twitter to shut down the government if necessary if Congress doesn't fund the wall and pass the other changes he wants on immigration policy. CHANG: Now, the president has made similar threats in the past. How serious is this threat? 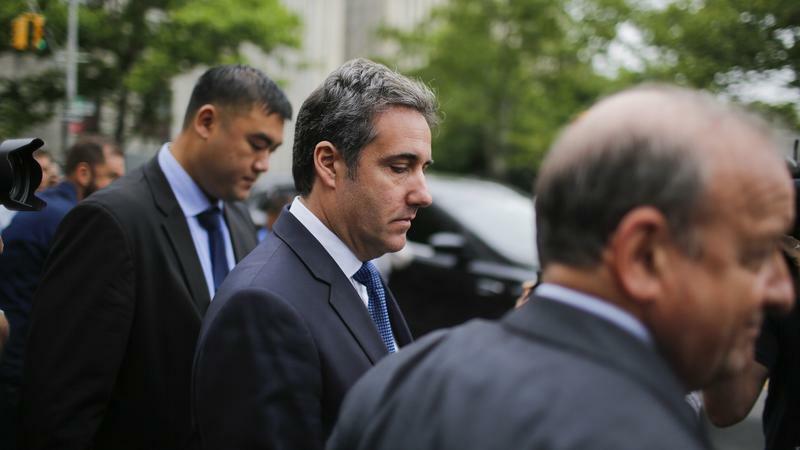 HORSLEY: ...Weeks before the midterm elections. HORSLEY: Some lawmakers were pretty vocal about that this weekend. And just this afternoon, Senate Republican Leader Mitch McConnell said his goal is to keep the government funded in a timely, orderly manner. CHANG: This is the first time - right? - Trump and Conte have met at the White House. But they've been together at previous international summits. And they were asked about that. What did they have to say about their previous meetings? HORSLEY: They talked about that contentious NATO meeting in Brussels earlier this month. And the president once again took credit for pressing the NATO allies to boost spending on their own defense. TRUMP: NATO was essentially going out of business 'cause people weren't paying. And it was going down, down, down. You just have to look at the line. I came along last year. And in a fairly nice tone, I said, you've got to pay. And they paid $44 billion more. And this year, I said it in a little bit stronger tone. And they're paying hundreds of billions of dollars more over the years. HORSLEY: Now, that's an exaggeration. NATO was hardly going out of business before Trump came along. Most NATO countries were already boosting defense spending both in absolute terms and as a share of their GDP before he came into office. But Trump has certainly kept the pressure on to accelerate that. And, you know, the president was very critical during the NATO summit and again today about Germany's limited defense spending. We should note Italy actually spends less of its economy on defense than Germany does. The president didn't mention that. He seems to have a soft spot for Conte, who was the only other G-7 leader to embrace his call for letting Russia back into the diplomatic club. CHANG: And really quickly, speaking of Russia, the question of sanctions came up this afternoon. What did Trump say about that? 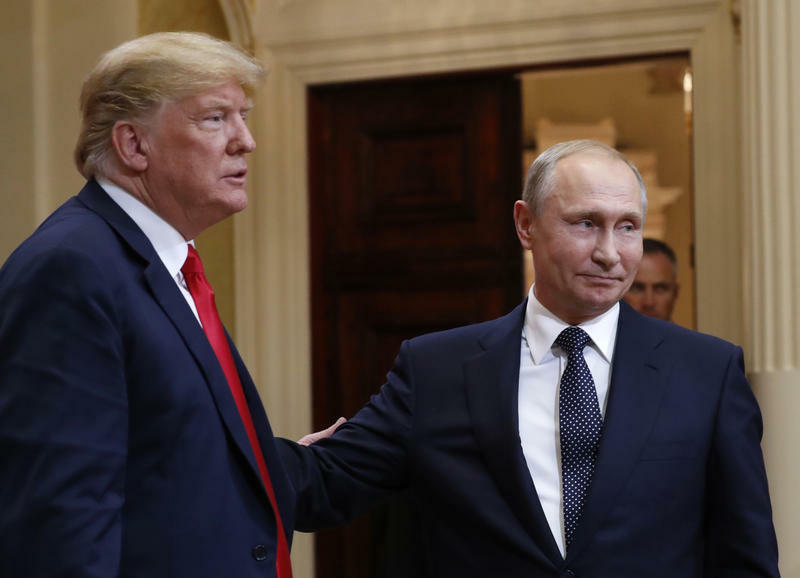 HORSLEY: He said economic sanctions against Russia should remain in place for the time being, and he defended his diplomatic outreach to Vladimir Putin. He also said he'd be willing to meet with Iranian leaders if necessary to discuss a replacement for the nuclear deal that he walked away from. CHANG: All right, that's NPR's Scott Horsley at the White House. Thank you, Scott.